Four Can’t-Miss Outdoor Activities in Orlando – Destination: Central Florida! If you’re traveling to Orlando in the spring, you’re in luck. 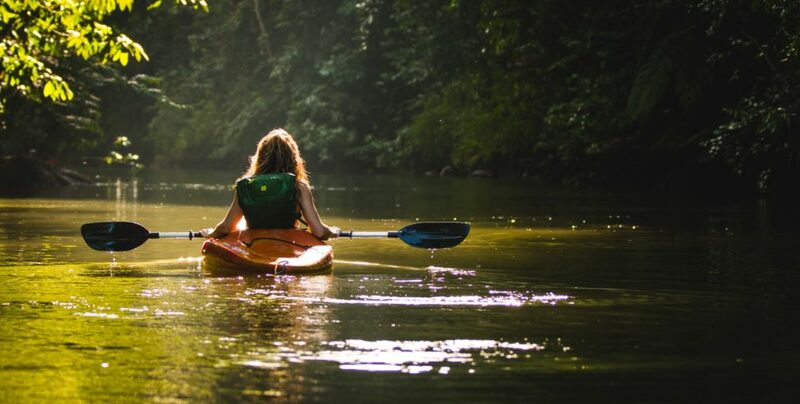 The weather is perfect this time of year, and spending your time outside should be a no-brainer with these four can’t miss outdoor activities in Orlando. Immerse yourself in a true Florida experience at Gatorland. See alligators and crocodiles of all sizes, one-of-a-kind animal shows, a petting zoo, the Screamin’ Gator Zip Line, the brand new Stompin’ Gator Off-Road Adventure, and more. Gatorland is an open-air park with thrilling activities to experience year round. Spend the day floating through the Everglades in a kayak from The Paddling Center. Unleash your spirit of adventure and say hello to the wild side of Florida. Sign up for a guided forest tour to learn about Everglades wildlife, the surrounding ecosystem, and the history of Shingle Creek. Choose from single or tandem kayaks, stand-up paddleboards, or canoes to drift through the relaxing waters under the Florida sun. Experience the great outdoors of Orlando on horseback. Enjoy a scenic trail ride in the heart of central Florida. Just off the shores of Lake Tohopekaliga, Lazy H Ranch provides an exciting day of outdoor fun with their beautiful western horses. Are you up for a challenge? Test your agility at Orlando’s most thrilling treetop obstacle-course adventure. Enjoy the great outdoors while ziplining through the trees, or try some of the aerial obstacle courses found at the Orlando Tree Trek Adventure Park. With challenging obstacles for all ages, the entire family will enjoy this outdoor adventure. Staying at Balmoral Resort during your trip allows you to relax and enjoy your stay without missing out on any Orlando fun.